This month, the solar eclipse which happened at the end of February arouses your ambition and your eagerness to press ahead with aim and plans which matter to you. Every once in a while, the day to day routine gets the better of us, and we can forget that our life is more than just a treadmill of chores; this eclipse will invigorate your senses, helping you to see the overall plan of your life more clearly, and this will help you not only to make plans but to take action in putting in place structures and systems which will help you to set things in motion and keep you from falling back into complacency. Relations with authority figures can reach a turning point; this includes parents. While in some cases authority figures can be helpful, in other cases you can lessen your reliance on them and feel more independent. Sometimes, the hold a parent or mentor has over you can extend beyond what is helpful regarding the way you need their advice or take their criticisms too much to heart. This month, you will have a chance to lessen their effect on you both mentally and emotionally. This month, you can remake your future in your own image and so it is an empowering and perhaps daunting time; you need to believe in yourself and your own perceptions and step into the light fearlessly. This can be a time of playing the field for unattached Gemini who do not want to commit. You want to enjoy the dating game with none of the strings which come later when you are more involved and when there are more bones of contention. Relationships now need a light touch; this is not a time when you want to grapple with heavy issues. You need to enjoy each other’s company, chat about non-contentious issues and drop any unhelpful attitudes. Often playful and social activates enhance the relationship more than analysing and trying to thrash out major issues. Double dates, social gatherings or community events can be a way to meet new potential partners. Couples with mutual friends and a shared social circle will thrive more than couples who go their separate ways regarding their interests and hobbies. Weak relationships will tend to break down this month as temptations will be hard to resist, and the grass may seem greener; in fact, the grass may well be greener, and meeting someone new could open your eyes to what your current relationship is missing. Question: can your relationship evolve to fulfil you, or do you need to move on. You are not necessarily practical in the way you are going about work this month. You can be rather elusive and hard to pin down in your professional matters, but this can play to your advantage, helping to outwit and confuse your opponents. A haphazard way of going about tasks can be quite effective as you can capitalise on changes to your advantage that crop up along the way. 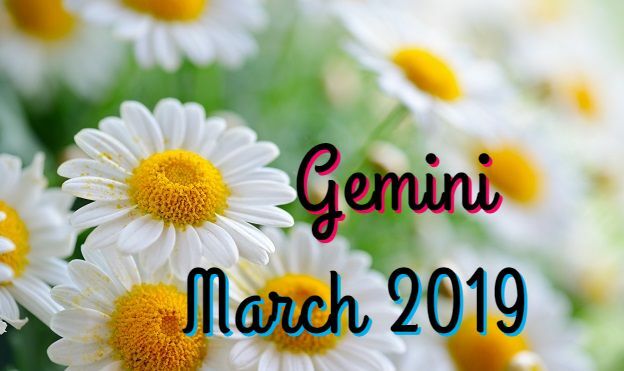 There may be peculiar conditions that arise in your job, and some adaptability, and Gemini flexibility will be required. It is best not to become wedded to one idea or way of doing things, be prepared to change tactics even at the last minute. Keep an element of secrecy, and do not reveal your hand until the last possible minute. Minor changes that happen right now could portend towards greater changes that will happen throughout this year, and so if you get a feeling about changes afoot, do not ignore that feeling. This is a year of flux regarding career and your work situation, and you need to be alert to changes that can affect your conditions, ability to get ahead or your authority. In some situations, changes in management structure which start now can affect your ability to be as effective as you want to be or may undermine you, and so watch out for these changes and look to circumvent them or alter your course appropriately.